Happy New Year's Eve- A Stack of Hats! 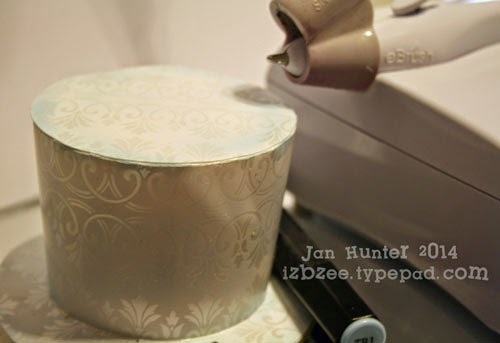 Jan Hunter is bring in the New Year with a great 3d project! I love her tumbling top hats and can see them used for so many events!! !Happy New Year! HI all, Jan here sharing a fun New Year's project. Hoping you're all looking forward to a wonderful new year... I see 2015 bringing lots of good things our way. 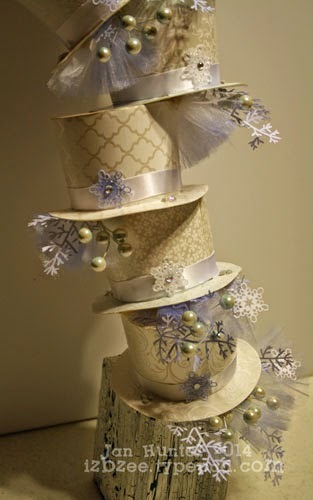 And this stack of hats is a perfect table top decoration for your New Year's Eve or Day celebration! I cut all of my elements first with my electronic die cutting machine. I cut 7 hats (minus the holes for the ties in the rims), 14 lacy ferns, 14 snowflakes (at 7/8 in). Set aside. If your wood block needs to be sanded, do it now. Straighten out a wire hanger. and cover with florist's tape if desired. You'll need at least 18 inches of wire to support the hats. 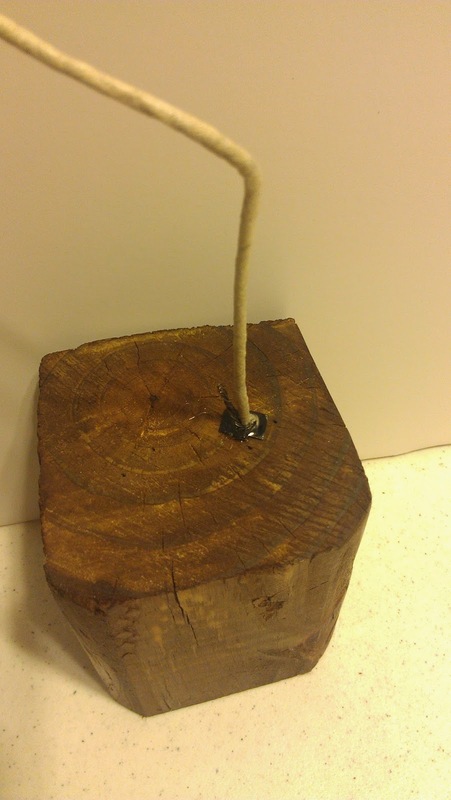 Drill a hole that will accommodate the wire hanger in the top of your block, put some glue into the hole you drilled and insert the wire. Let dry for about 24 hours.. Using the eBrush, spray each hat lightly with a very pale blue, just enough to add a hint of color. Spray half of the snowflakes blue as well. make some tulle tufts and spray the tips of those. You can lightly spray the fern fronds if you'd like too. The add a little glue and dust with some sparkle if you like. decorate as desired with ribbon and the snowflakes. When you've prepared everything, this is where the fun begins! Carefully, pierce a hole in the top of the first hat and slide on the wire. Bend the wire a bit and you'll need to pierce a hole in your second hat and thread it onto the wire. Repeat for the rest of the hats. You'll want to bend the wire as you go for the desired effect. Do not pierce a hole in the top hat. You can either bend the remaining wire or clip any excess. I created a bend in the wire which allowed me to glue the hat to the wire and secure it a bit while I added the embellishments. Begin adding ferns, berries, tulle, and any additional embellishments you choose and glue into place using the glue gun. You will also need to secure each hat with a little bit of glue. so they don't twist and turn when you move the stack. Your embellishments should hide any of the wire. I really enjoyed creating this project! Hope you did too! Wishing you a very Crafty New Year! Feel free to visit my blog for additional information and other projects featuring the eBrush! Gorgeous project Jan! Love the hats! Love it Jan! Very festive and creative!